BSA 441 Motorcycle — J. Craig Sweat Photography, Inc.
We had a 1967 BSA B44 "Victor" motocross bike come in the studio. It is 441 cc displacement.The gent who brought it in built it from several boxes of parts. 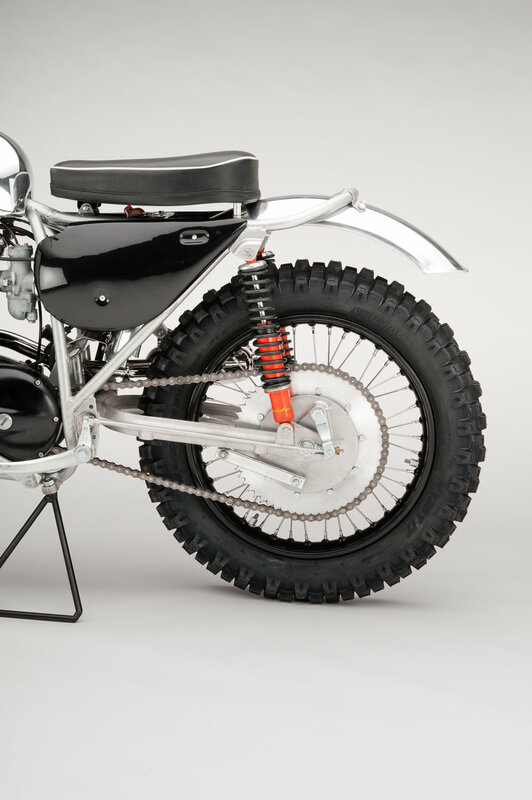 It was built to look like a BSA factory "works" motocrosser. They were 494 cc, presumably with an oversize bore. We pulled out a white sweep of twelve foot paper and brought in the motorcycle. With our 10' x 20" overhead Lightbank and some soft front light and big reflectors we tried to brighten the chrome but keep detail in the shadows. We wanted to get a lot of angles in short time and delivered 57 different images in the gallery. That big single is a great motor, simple and small.